One of the issues with suggesting that the S&P 500 (SPX) overreacted to a growth slowdown in Q4 2018, is that is merely a human assessment, something that has an increasingly insignificant role in the equity markets. The equity markets are increasingly underpinned with programmed algorithms and found with less and less active fund managers. Combined factors only serve to enhance the “liquidity trap”. Just as I had characterized much of the selling pressure that occurred during Q4 2018 as algo-driven and found to be more of a technical liquidity event, the same can and is being offered for the current state of the market, as it relentlessly recovers through Q1 2019. “A shift from “slower” human market makers, who often rely on valuations, to faster programmatic liquidity that rely on volatility measures to determine risk-taking and position sizing, can strengthen momentum and reduce day-to-day price swings, according to Kolanovic. However, it increases the risk of market disruptions such as that seen in October. What the chart above outlines is that absent active managers and/or value investors, fear begets more fear during bouts of volatility. Additionally, programmed trading highlights a shift in gamma positioning, deepening a market selloff. There are limited active, value investors willing or present to step into the market and execute on what is perceived value. The algorithms are left to their own devices and tethered design. 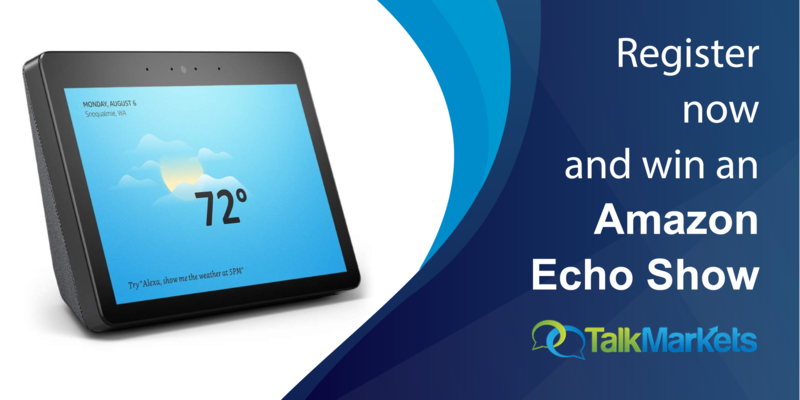 The tethered design or program is often technical or keyword correlated. They are level seeking in most cases and just as relentless to the upside as they are to the downside and for such reasons, commodity trading advisors (CTA)’s generally avoid market positioning/participation… until a reversal of trend is presented. Even then, CTAs, hedge funds and the like choose to tiptoe into the market with rather light positioning. The psychological damage of a market slide can be lasting, daunting. With that being said here is a snapshot of where the S&P 500 currently rests heading into a 4-day trading week. With a key premise of this weeks report in the rear view mirror, erroneously removing the context and causation of the Q4 2018 drop in the S&P 500 from our consideration, I am freed up to focus on other topics. Our first topic purposefully piggybacks on the discussion of market volatility… and why? There is so much… ok, that’s a bit of hyperbole, but there is a lot of misinformation out there in the public about the present state of market volatility as defined through the volatility complex and its prime constituent, the VIX . To state it very plainly, investors and market participants are looking at the following chart and failing to analyze it with respect to many other variables at play. On the surface, the chart of non-commercial/hedge fund net shorts in VIX futures looks rather ominous, right? Answer: yes it does! But it lacks context as well as the necessary convexity to produce an event on the magnitude of February 2018/Volmageddon. What led to the current non-commercial speculative positioning actually had its roots planted in late January 2019. Again, for simplicity sake, the so-called smart money didn’t believe in the market rally through January and felt its legs would be cut out from underneath it very soon…back in January! 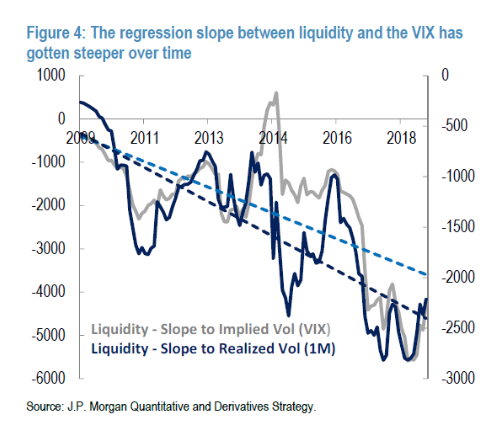 As shown in the notes and charts above from J.P. Morgan Chase back in early February, VIX ETP’s net exposure had spiked to their largest net long positions in 1.5 years. This created an extreme net long Vega paradigm or low boundary convexity regime. 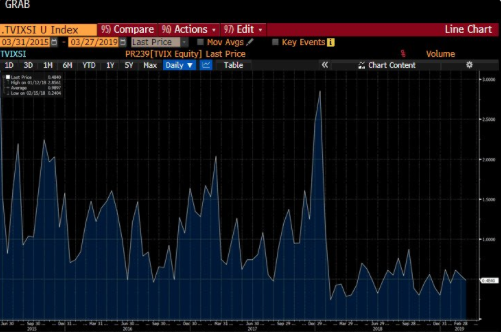 Much of the flows went into TVIX, which is a 2X leveraged instrument, signaling the conviction for which the volatility targeting funds were positioned. Based on the positioning, the VIX-ETP/TVIX also saw a magnificent spike in share creation/outstanding (SO). (See chart below). 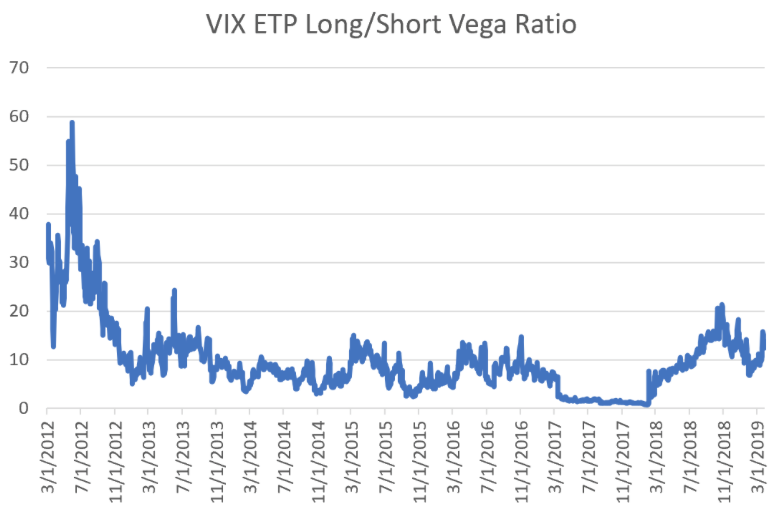 While many thought this to signify the artificial share creation to offset option positioning short the VIX-ETP, it proved quite the contrary. 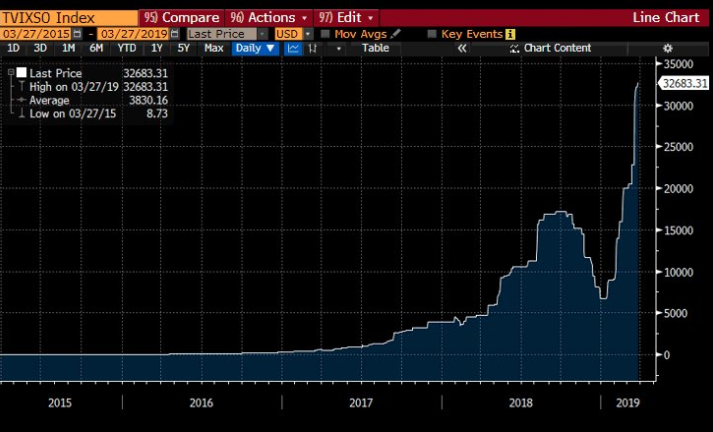 As I've mentioned in previous reports, short interest is just 56% (up from previously reported 48%) of market cap as compared to short interest averaging above 100% of market cap in the years before XIV implosion. 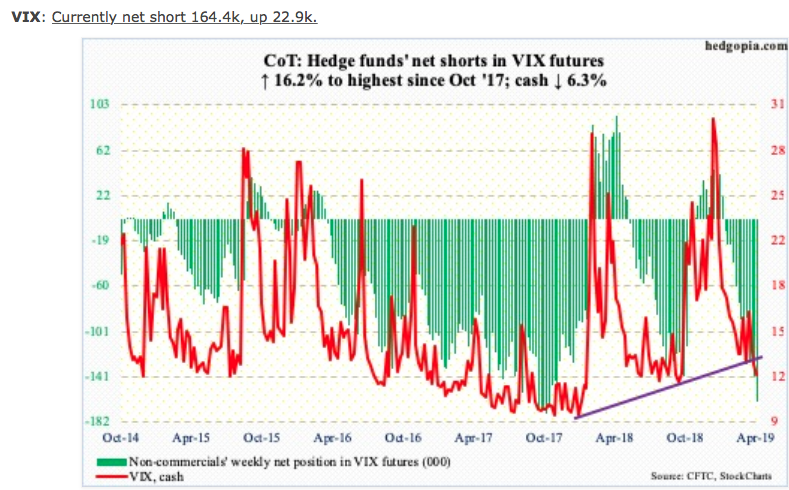 Plainly speaking and this includes all other VIX-ETPs, levered and unlevered, the short interest is simply too light to produce another Volmageddon. 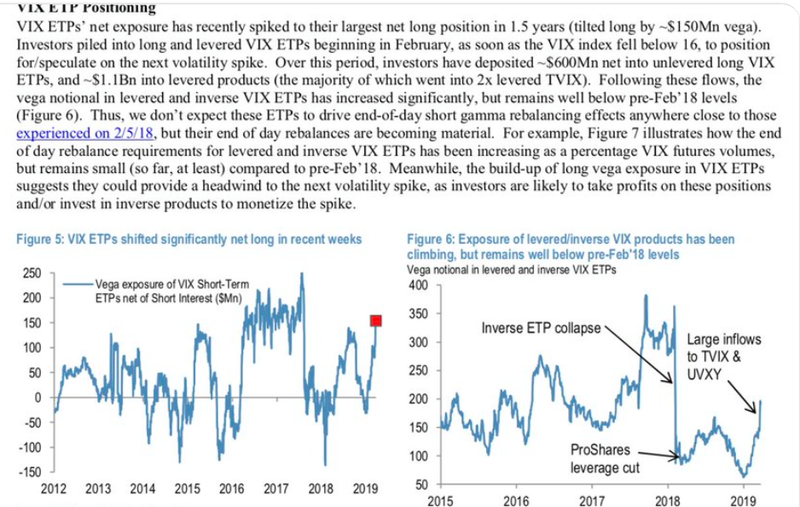 In terms of the Vega imbalance at the commercial level being heavily tilted long when compared to the short Vega, (See chart below from Matt Thompson), this also provides a buffer against all volatility spikes when combined with the existing open interest. Essentially there is “an injured dog at the end of the leash, unlikely to bolt after the rabbit”. Because long Vega is much larger than short Vega, there is little positive feedback offered in the positioning that is already heavily underwater and therefore the dog is unlikely to chase the rabbit. There would likely be offloading of these long positions closer to net-even/profit once an uptick in implied volatility is realized, as the impetus to hold such positions thereafter is found wanting for greater short interest. 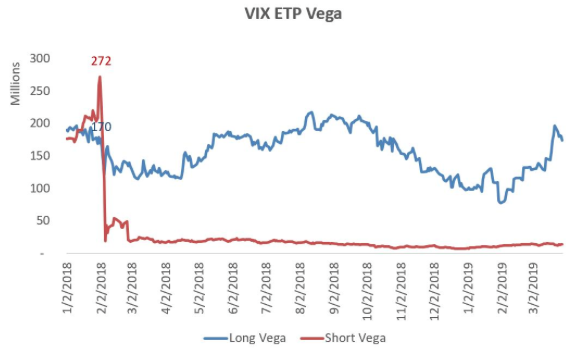 Below is a longer-term chart of VIX ETP Long/Short Vega ratio. Keep in mind that in 2017, TVIX reverse split, which isn’t accounted for in the chart. Nonetheless, one can see that the ratio is more tilted long and at levels seen back in 2013. 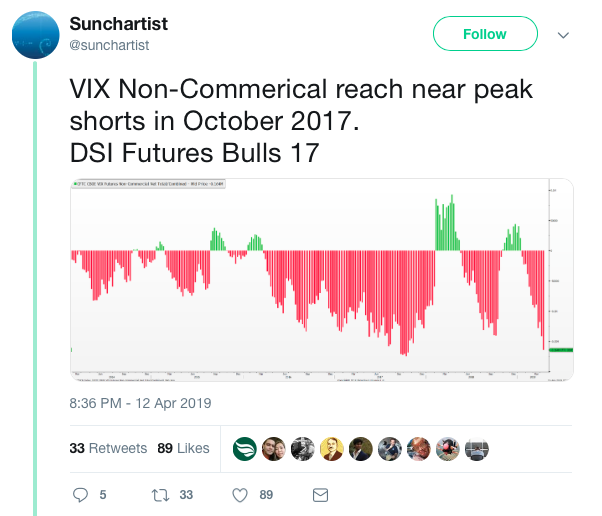 And that is where our short interest in VIX futures is found relevant with regards to the latest COT update of non-commercial positioning. Remember, what most people are focused on is non-commercial positioning. They are missing the commercial positioning component for which to assess Vega, exposure and open interest. What Finom Group has always recommended and monitors is the combined positioning of commercial and non-commercial positioning so as to also be able to determine open interest. 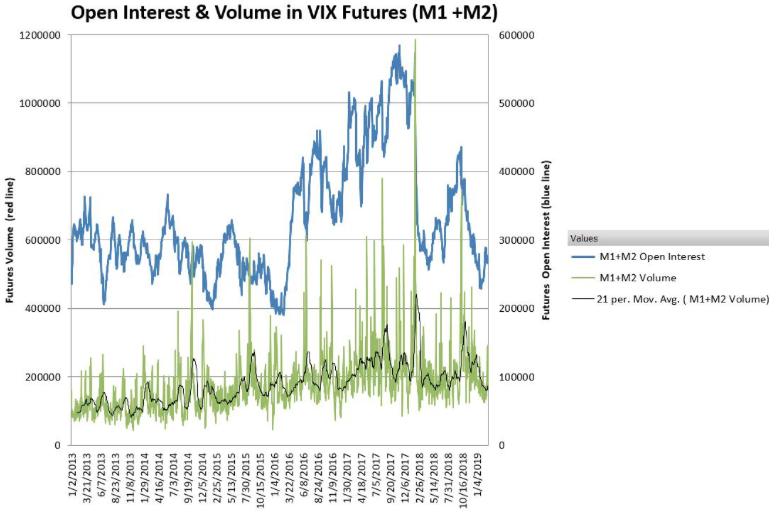 Below is a chart of VIX futures volume and open interest in the front 2 months futures contracts. Based on what we can see and quantify, VIX futures of relevance at the front end of the VIX futures curve are running at 2015 levels; this is not anywhere near the open interest seen in October 2017 or leading up to the February 2018 VIX event. Lastly, we can review commercial and noncommercial combined positioning from the CFTC as shown below. This is updated as of 4/12/19.